You’re getting ready to go out for a night on the town when you discover a large, red pimple smack in the middle of your nose. You frantically search your makeup bag for your handy-dandy PRIIA face concealer only to realize you’re all out. All you have is your PRIIA loose mineral foundation. What’s a girl to do??? Have No Fear- The Mineral Makeup Coach is Here! Do your normal foundation application with our skin-loving flat top foundation brush. Wait a few seconds to let the minerals begin to work with your skin’s own natural chemistry. Next, take our taklon concealer brush and gently dip it into your Essential Cover loose mineral foundation. Make sure to really work the minerals into the brush. Take your concealer brush and gently pat it onto the problem area until it’s completely covered. Don’t swipe it on and don’t stray too far “outside the lines”. Make sure to blend any obvious edges. You can ‘set’ this concealer trick with some HydraPrime or Behave Finishing Powder using the same concealer brush or clean fingers. Voila! Your problem is GONE– at least visually it is. You see, covering up a raised area of skin such as in the case of a blemish or keloid-type scar, can be difficult. The reason being is that the pore or pores are stretched making it sometimes tricky to cover them successfully with a cream-based product. It just seems to slide around and not ‘stick’. Our Loose Mineral Foundation is made to adhere to the skin and that’s why this trick works so well. 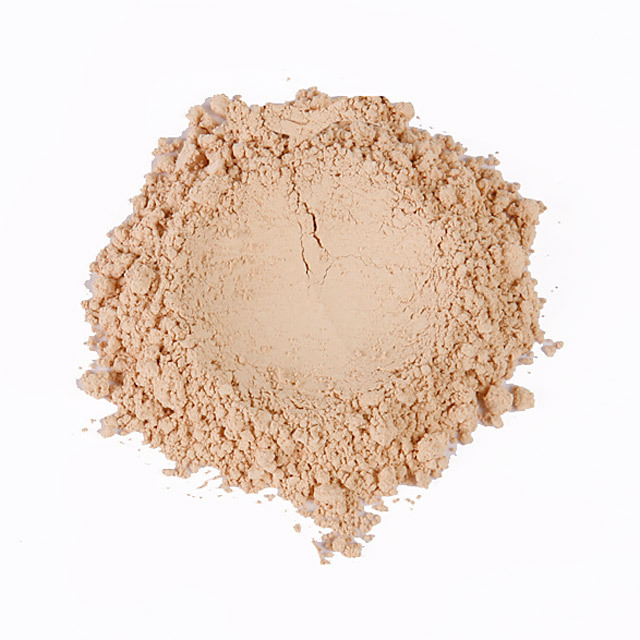 Another added benefit to using your PRIIA loose mineral foundation to cover these types of problems is that you will have an EXACT match to the rest of your face. I cannot tell you how many times I’ve seen botched concealer jobs on women. They either choose a concealer that is too light or too dark for their skin tone. In either case, the problem they are trying to cover up is only made MORE noticeable. Don’t make this mistake. You’ll only having people staring at you funny. Trust me on this. So there you have it. Another makeup emergency solved. 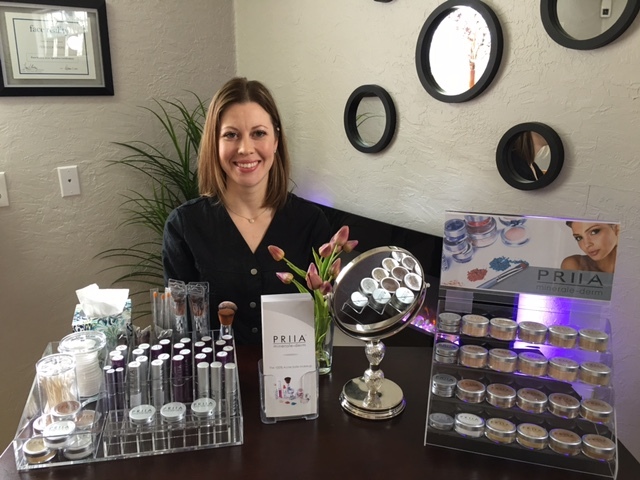 If you haven’t tried PRIIA’s fabulous products, what are you waiting for? 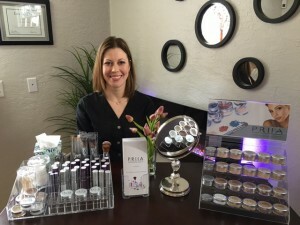 Get on over to www.priia.com and get yourself some samples. You can thank me later. This entry was posted in Expert Application Tips Revealed! and tagged blemish, concealer, mineral foundation, PRIIA on February 26, 2013 by PRIIA Cosmetics.